It is amazing to see how the horses interact with us when we are working in their pasture. It is testament to how happy the horses are here. On this day Chex and Warlock help us put a wheel on their gate. Then just today I was bringing Cuervo in for this skin treatment (rain rot) and Bilbo decided to help me lead him in. 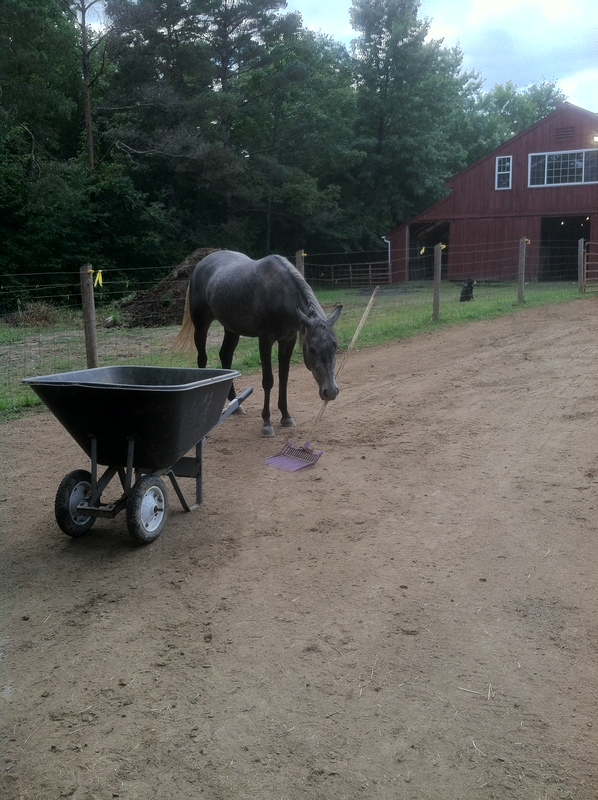 And here is is Warlock helping with mucking.